Normal sign holders only go so far towards making your signs stand out for the people you want to notice them. If you’re looking for a more interesting display solution than boring plastic holders or you need a specialized shape or size for holding your signs, turn to The WallPocket Company for a CustomPocket™ display holder designed to your unique specifications. 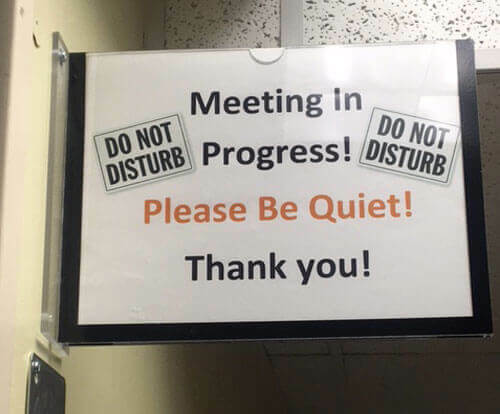 As the source for decorative sign holders since 1991, we make all kinds of custom sign and document protectors for doors, walls, and wherever you need your signage to draw people’s attention, with virtually limitless design options. We fabricate wall mounted sign display holders (Wall Pockets) in a variety of sizes, colors and shapes to meet your specific needs. Order with your specifications and we will custom design a wall mount sign holder display which will get you the attention you deserve! Tri-fold brochures, 8.5″ x 14″,11″ x 14″, 11″ x 17″, half sheets, name plates, optional side opening pockets, and more. Your wall mounted sign holder fits your needs. Match your company colors! We offer 50+ colors to choose from for your backer and border/headers. Dozens of solid surface colors for GranitePockets! Maple and cherry woods are available upon request. Increase your brand awareness by labeling your pockets with your logo. Optional etched in text and graphics on custom GranitePockets™. 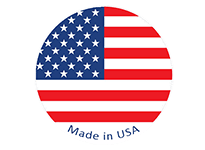 Available on the acrylic display PlexiPocket only, a magnetic backer for your wall mounted sign is ideal for posting your WallPocket on refrigerators, office cabinets, any steel work area. $3.00 extra. 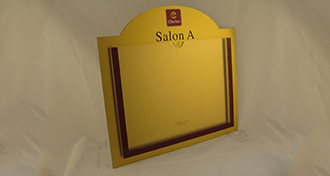 Additionally, all of our custom sign holders are designed with highly durable, clear acrylic fronts that protect your signs and documents while resisting cracking and other forms of damage. They also have unique thumb notches at the openings for easy access, as well as cleaning slots at the bottom to prevent the buildup of dust and other debris. 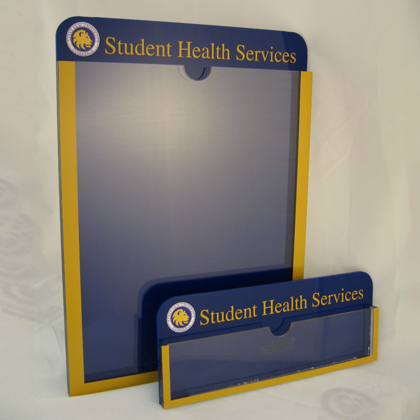 To learn more about the customizable sign holders that we offer and to ask about a sample, contact The WallPocket Company today.